The Speedglas Welding Helmet Series 9100 provides superior performance and comfort with the ability to tailor the helmet to suit your preferences. From a feature-packed auto-darkening lens to a fully customisable head harness, extra protection to a range of welding helmet configurations, the Speedglas 9100 series allows you to find your ideal welding helmet. The Speedglas 9100XXi auto-darkening lens when combined with 3M Speedglas Side Windows gives welders the largest viewing area on the market with peripheral vision. Speedglas True-View advanced optics are lighter, brighter and more detailed allowing welders to more readily recognise colours and contours. The Speedglas 9100XXi welding lens is suitable for a wide range of welding applications including Stick, MIG, TIG, cutting and grinding, and features TIG Sensor Technology (TST) which gives the 9100 series the most powerful arc detection on the market down to 1 Amp. The Speedglas 9100 respiratory helmets are available with your choice of a powered air purifying respirator (PAPR) or supplied air respirator – depending on your work environment and specific needs. The Adflo Powered Air Respirator (PAPR) gives you the flexibility of a belt-mounted, lightweight filtration system that has a range of filter options depending on your needs. Along with a particulate filter and pre-filter, the Adflo PAPR unit has stackable gas and vapour filters as well as an optional odour filter if required. For those who need supplied air filtration the Speedglas 9100 series is available with the 3M Versaflo Supplied Air Regulator (SAR), while the non-respiratory 9100 welding helmets can comfortably accommodate a 3M 7500 series reusable respirator mask. The Speedglas 9100 head harness is fully customisable with multiple adjustment points for a tailored fit. Two adjustable crown straps offer more even weight distribution and better balance, while a smooth ratchet mechanism allows for precision tightening. Adjust the helmet’s tilt angle, parked position and drop friction for maximum comfort. It’s the head harness that adapts to your head. 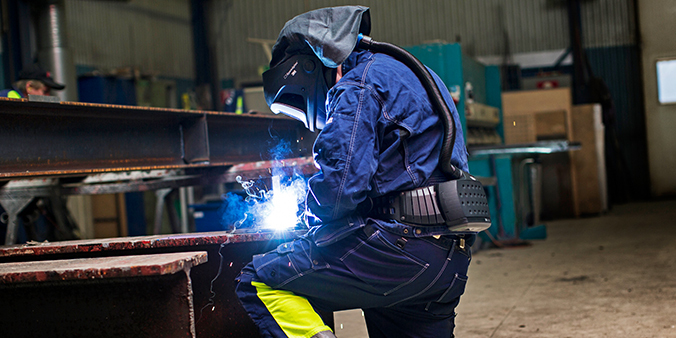 Choose from a range of extra protection including fire-resistant head covers, neck covers, welding capes and protective shrouds that can be easily attached to your welding helmet by hand. The Speedglas 9100 MP welding & safety helmet also has the option of adding helmet-attachable earmuffs, giving you up to 5 levels of welding protection (eye, face, head, respiratory, hearing). The Speedglas Welding Helmet Series 9100XXi includes six welding helmet models offering many options including flip-up welding shields, safety helmets and respiratory systems. Simply visit our welding helmet page below to view the complete range of 3M Speedglas 9100 Welding Helmets. Choose the features that are important to you to narrow your search.